Yesterday I posted a couple 1-star reviews to demonstrate the difficulties of writing liberal books when conservatives, who haven’t even read the story, try to bring them down—as if they were doing a favor for Trump. 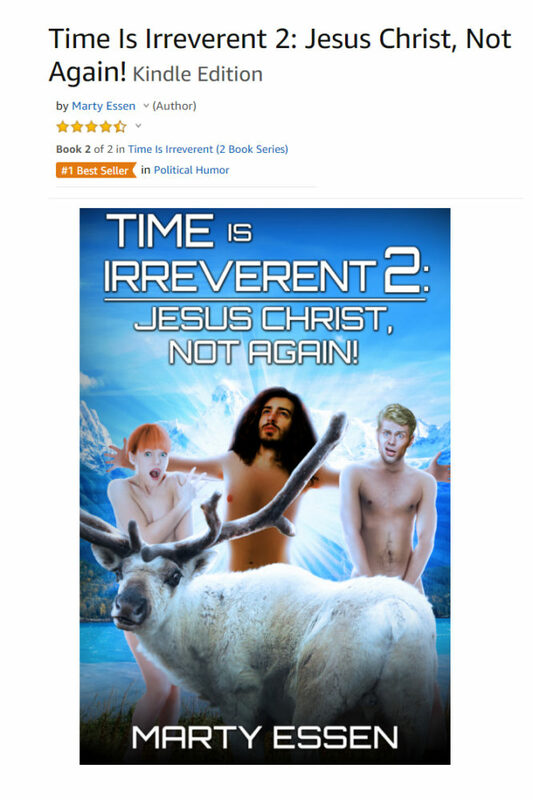 Today, I’d like to post some of the shorter 5-star reviews for my latest novel Time Is Irreverent 2: Jesus Christ, Not Again! When people actually read the book, they love it!